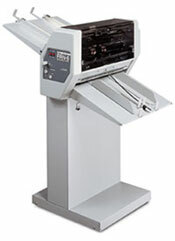 Standard Horizon APC-M61llSB Programmable Paper Cutter - Roberts Business Machines, Inc. 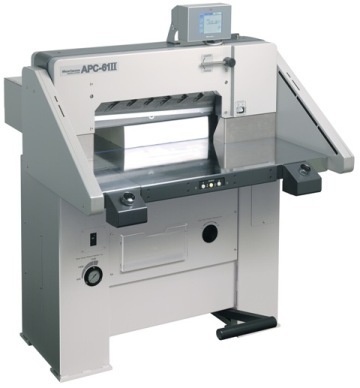 The Standard Horizon APC-M61llSB Programmable Paper Cutter features a maximum cutting width of 24″ and a maximum lift height of 3.9″. The APC-M61llSB Includes advanced set-up automation through a user-friendly 5″ icon-based touch-screen that displays all settings necessary for automated setup. 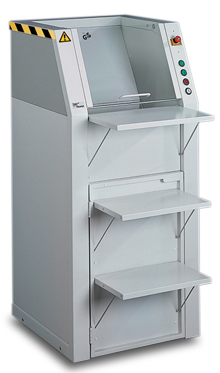 The highly polished, chrome-plated work table virtually eliminates paper marking and provides a smooth, friction-free surface for lift travel. A high-performance back gauge screw and precision-forged linear raceway accurately positions the lift. 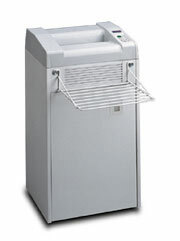 A two-speed motor system precisely positions the back gauge and ensures maximum cutting accuracy.